The recent heavy rain didn’t deter a huge crowd from attending the recent Brisbane launch party. The original launch on the lawn plan was revised to be a house party at Brisbane Modern central. Thankyou to everyone who came to support Australian Modern, and welcome to all the new faces. Spotted in the crowd were architect Geoffrey Pie, Marcus Thorn (Tiki Beat), Collette (Rewind Mid Century) and her Gold Coast entourage, and lots of other architecture and design enthusiasts. Folio Books (Brisbane) are the online supplier of Australian Modern, Angelos and Jenny were happy to receive their initial stock as orders were already coming in. 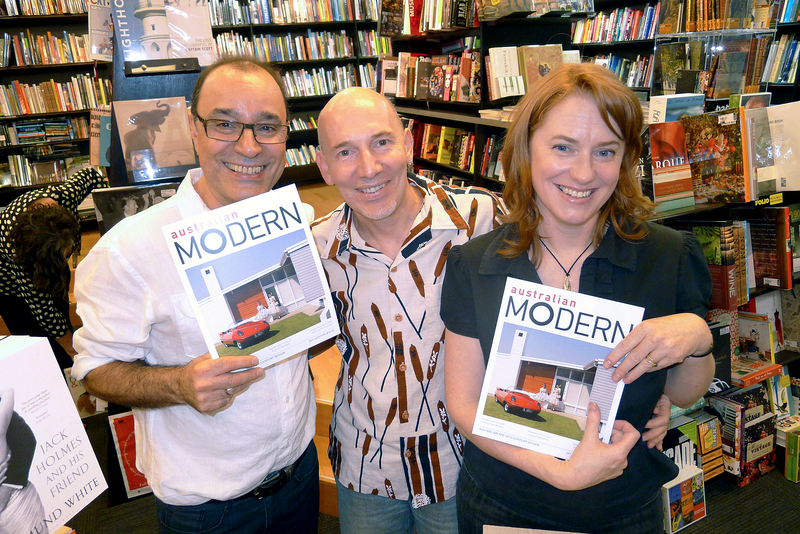 Please come and have a chat, and pick up a copy of Australian Modern, at some in-store promotions for Australian Modern in coming weeks.